That was one of many justice issues that Davis touched on during her hourlong lecture Wednesday evening, which drew around 800 people to the third-floor ballroom of Gonzaga’s Hemmingson Center. 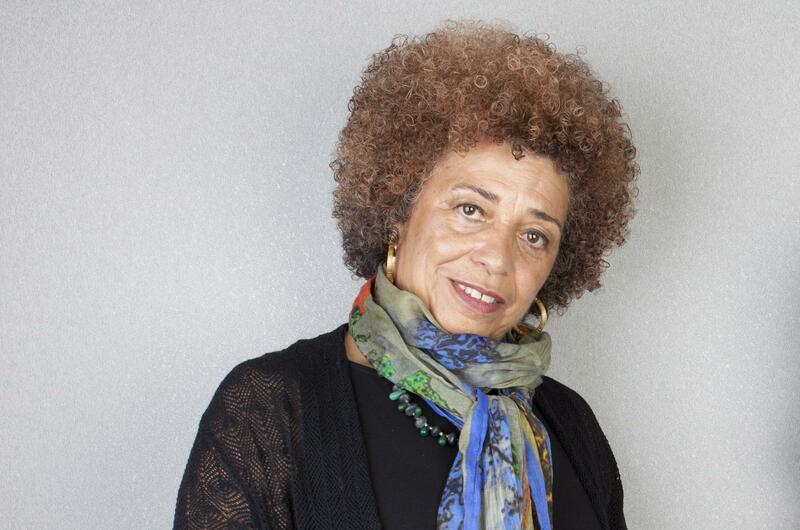 Davis emerged as a prominent social activist in the ’60s as a leader of the Communist Party and affiliate of the Black Panthers. In 1969, then-Gov. Ronald Reagan attempted to have her barred from teaching at universities in California. The following year, she was targeted in an FBI investigation of an armed courtroom takeover that left four men dead; she had purchased some of the guns involved and was later acquitted of murder, kidnapping and conspiracy charges. During Wednesday’s lecture, Davis said it had been a while since those features of her past drew controversy, but she alluded to posters that were recently distributed on Gonzaga’s campus calling attention to her one-time appearance on the FBI’s most-wanted list. She began the lecture by discussing the recent focus on science, math, engineering and technology in institutions of higher education. Such insights, she said, have been integral in her academic work at the University of California. She has written more than a dozen books spanning issues of feminism and misogyny, Marxism, popular music, mass incarceration, racism and African American history. Davis expressed hope that Americans are beginning to address pervasive racism in the country’s culture and institutions. “Since 2012, and the racist killing of Trayvon Martin, public consciousness regarding racism has deepened, I believe,” she said. And she urged people to stand up to the Donald Trump administration through social activism. Published: Oct. 25, 2017, 11:12 p.m. Updated: Oct. 26, 2017, 7:47 a.m.